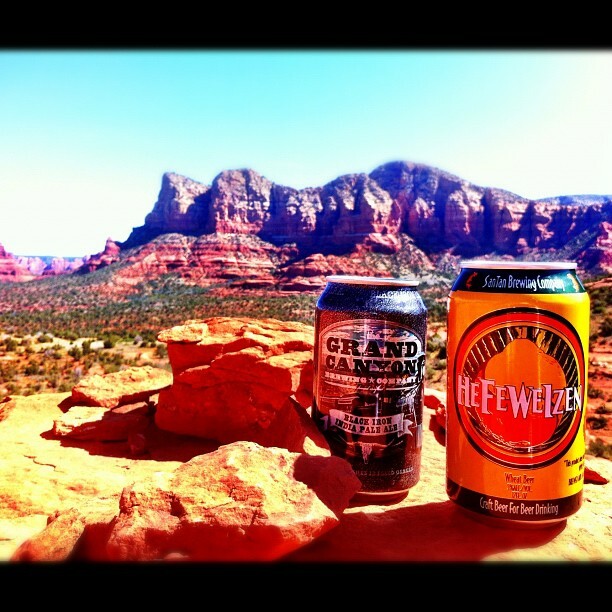 Here are three of my favorite #beertography submissions I've seen on Twitter in the last week or two. Last Friday I decided to try something new. 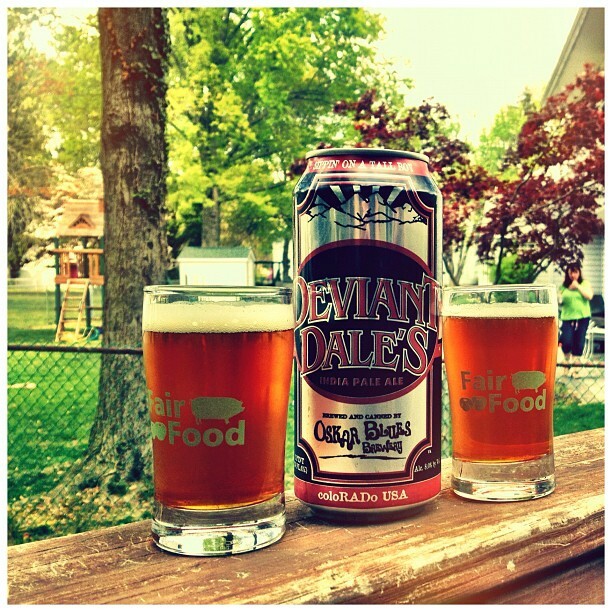 Via Twitter I announced a mini #beertography contest to anyone who wanted to participate. Most of us are drinking beers on a Friday evening anyway right? Why not take a photo and have a chance at winning while you're at it? The prize in this mini-contest was a round on me. Yup. Simple but always welcomed, right? You can't argue with a free beer. As long as you have a PayPal account (doesn't everyone these days?) I'll send you a few bucks to cover your next round wherever you buy it. The winning photo that evening (above) came from Jed all the way from New Zealand! Nice work Jed! His entry was a glass of Rogers beer in the Little Creatures Brewery in Freemantle, Australia. Pretty cool! And quite the drool-inducing photo. I'll probably do this type of contest again at some point, so keep your eyes peeled and be sure to follow me on twitter. 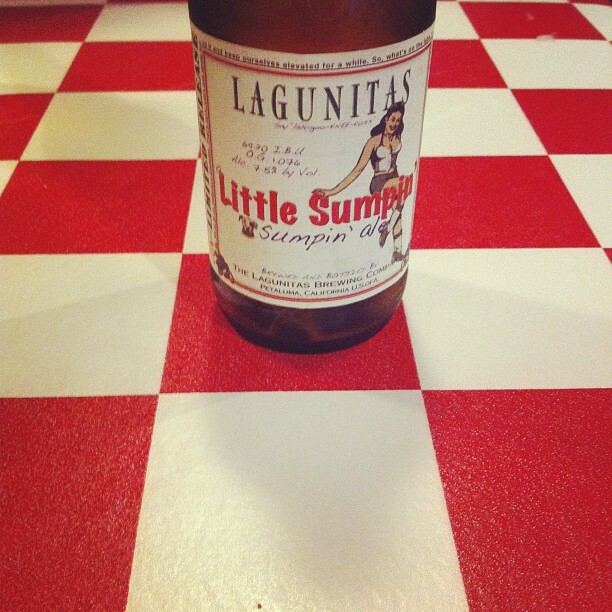 And don't forget to tag your photo with #beertography! It's that time again! 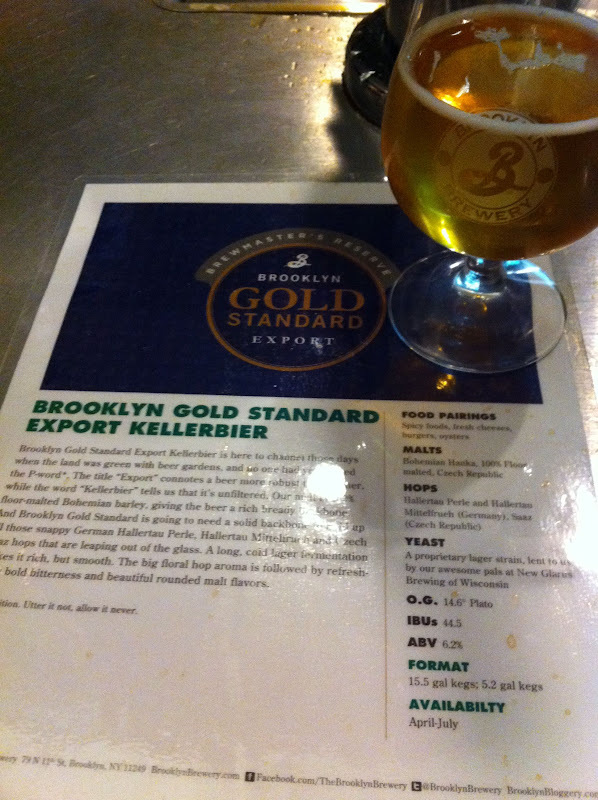 A release of another new Brooklyn Brewmaster's Reserve beer. This time around Garrett Oliver and his team of excellent brewers are unleashing Gold Standard Export Kellerbier. Kellerbier? For those of you that are unfamiliar, Kellerbier is an unfiltered German style that is literally translated as "cellar beer". Garrett hoists his stein to celebrate the release of Gold Standard. Brooklyn's version of a Kellerbier is being referred to as their "Gold Standard Export" and is made with 100% floor malted Bohemian barley and flanked by effervescent Halllertau and Saaz hops. At 6.2% ABV, this beer's got everything you want for a nice Summer day (or night). Bready, yeasty, wonderful hop aromas. You really can't go wrong. Why did they tack on "Export" at the end of the name you ask? Well, that's to denote the fact that the beer is more robust than your typical pilsner. Oh let's not forget one of the coolest and beer geekiest facts about Gold Standard: the yeast that seduced this beer was lent to Brooklyn Brewery by none other than New Glarus out of Wisconsin. You know, that brewery that everyone wants but is only available in Wisco? Gold Standard will be hitting draught lines where you'd normally find the Brewemaster's Reserve series in the coming weeks, so be on the look out. get your last pours of Mary's Maple Porter before it's gone! And definitely try Oishi if you ever stop by the brewery. Continuing our series on Live Sports & Craft Beer, I paid a trip to Yankee Stadium in the Bronx this past weekend, hoping against hope that their beer selection had improved from previous seasons. 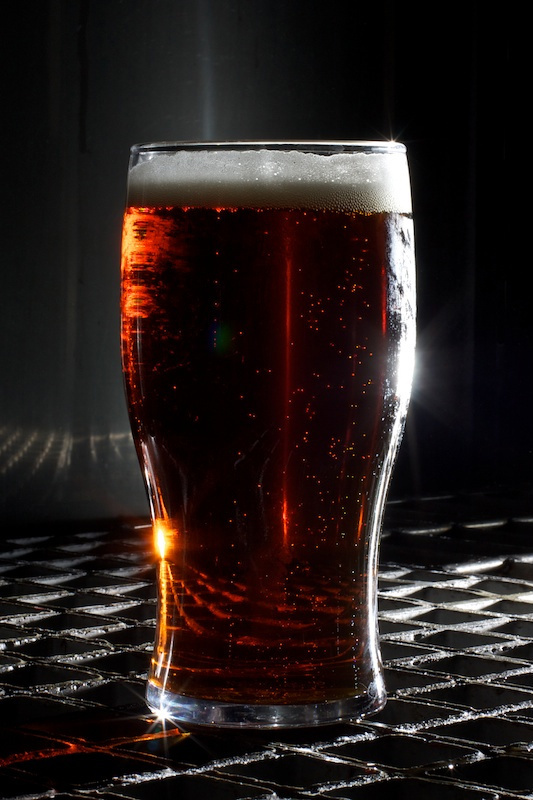 The short, disappointing answer is no but there still remain (very) few options for the craft beer drinker that's willing to walk a bit to get a decent brew. Saturday's visit, while a beautiful day to catch a ball game, saw the Yankees play abysmally falling behind by seven runs in the fifth inning. The bright side of this being that there was plenty of time to walk around the entire stadium in search of a good beer. But first, let's start with outside the stadium walls. 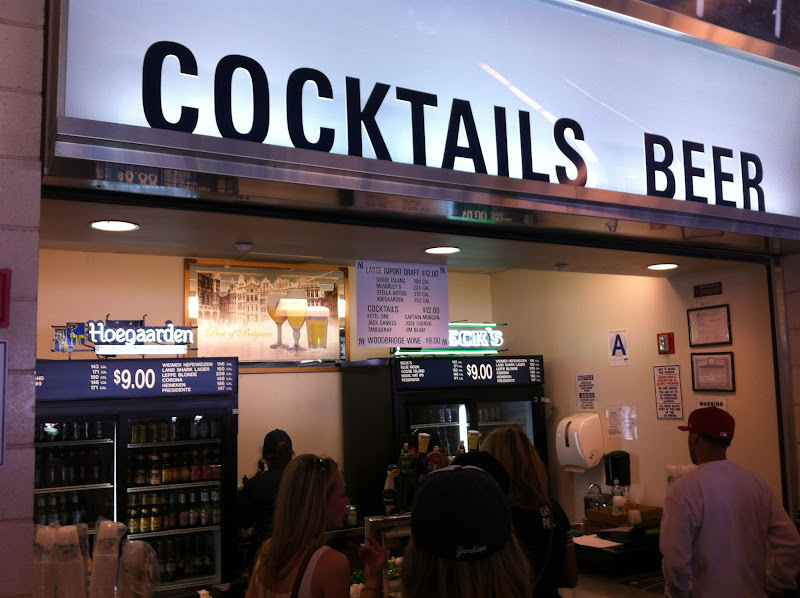 Every sports fan likes to enjoy a beer before going in to the game. Unfortunately the situation outside the stadium mirrors the inside: 97% macros, 3% decent stuff. Yankee Tavern (72 East 161st Street) was offering draught pours of Goose Island IPA and Brooklyn Brewery Brown Ale for $8 each and The Dugout (880 River Avenue) merely had Sam Adams Summer Ale on tap. I didn't visit more than these two bars, but I was happy to find something halfway decent at each. Yes, Goose Island is owned by Anheuser-Busch InBev but hey, at least it's an IPA. 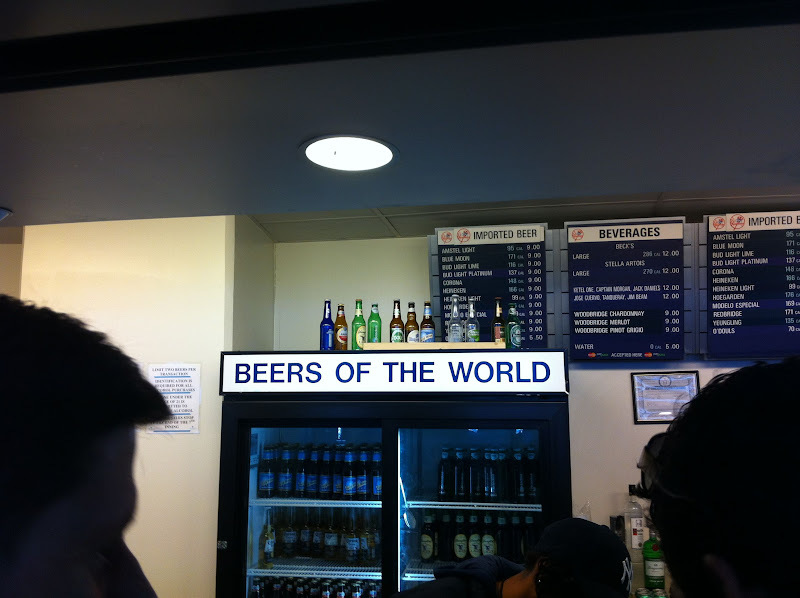 As you stroll around Yankee Stadium, you occasionally see a sign that inflicts a glimmer of hope in your craft beer-loving heart: "Beers of the World". As you can see from the photo above, it's not quite an accurate sign. It's mostly macros and cheap imports, but the best part is the "Imported Beers" menu. Among those listed is Amstel Light, Blue Moon, Bud Light Lime, Bud Light Platinum, Corona, Heineken, Heineken Light and Yuengling. 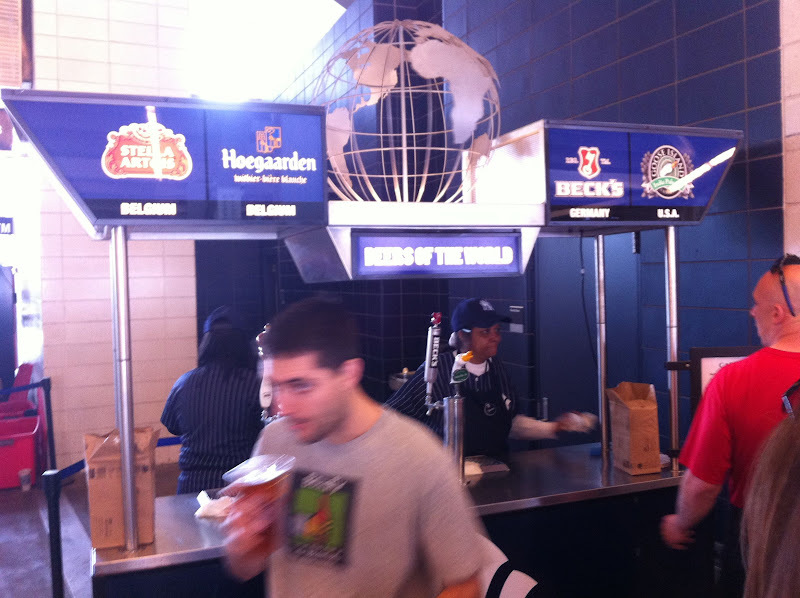 I'm curious as to where exactly the Yankees are importing these from, since quite a few our domestic. Either way, your best bet here is Yuengling unless you're a Blue Moon fan. On the upper level behind Section 310 is what's known as the Malibu Rooftop Deck. This is an outdoor area which unlike most of the rest of the stadium, brings you away from being able to see the field (one of the redeeming qualities of the new stadium is being able to see the field from virtually anywhere you're standing). This section has Goose Island IPA as a draught offering but little else. 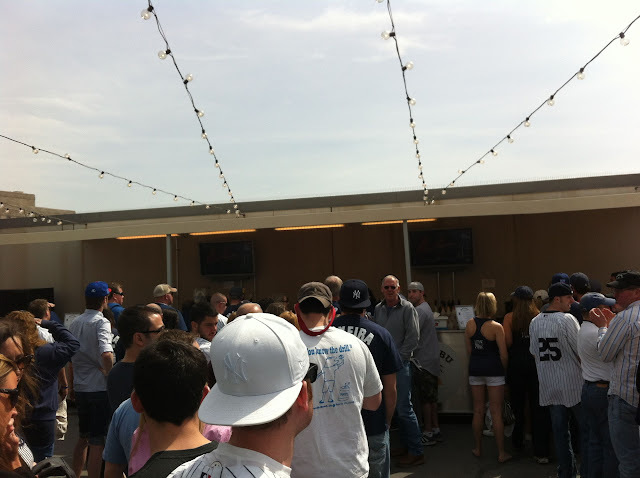 If you're visiting Yankee Stadium and love craft beer, this area behind Section 110 on the First Base side of the lower level is the go-to spot. Your options here are a 16 oz. pour of Goose Island IPA or McSorley's Irish Pale Ale for $12 each. Also available are bottles of Magic Hat #9, Goose Island Honker's Ale, Widmer Hefeweizen (also part-owned by AB InBev) and Leffe for $9 a pop. If the line is too long at the Cocktails/Beer section, directly to its left is this small stand that also carries the Goose Island IPA. That about wraps it up. It's unfortunate that the Yankees took so much time revamping their stadium menus to have a wide array of upscale food but left the beer selection as an afterthought. If there was ever a case to be made that beer is still not as respected as it should be, well here you go. Also, I should note that while I covered a vast majority of the stadium, I didn't go into any of the additional bars/clubs they have there. Some people have told me that they'd seen Brooklyn Lager available but I did not find it anywhere on Saturday. If anyone has any info from inside the Hard Rock, Mohegan Sun Sports Bar, etc., please email me beertography@gmail.com and I will update this post. The Prudential Center in Newark, NJ is the home of the New Jersey Devils and for just a little while longer, the New Jersey Nets. As a Devils fan, I've been to the arena a handful of times since it opened a few years ago. The first time I visited I was excited to find both Cricket Hill beers from Fairfield, NJ and also Brooklyn Lager. They could be found in a concession section labeled "BEERS OF NEWARK", which never made much sense. But I wasn't complaining. The next season (last year if memory serves) both Cricket Hill and Brooklyn were nowhere to be found. Instead, Budweiser American Ale was the best beer offering they had. I actually tried American Ale once a few years ago and it was only a bit more interesting than a regular Bud. Cut to this season. As you can see from the photo above, Goose Island Honker's Ale and IPA are now available at one single booth near the top of the main escalators to the upper level. I asked the server how long it had been there and he said 4 months, which means it showed up sometime in early December. While it's not exactly ideal as Goose Island is owned by Anheuser-Busch InBev, but being able to have an IPA while watching the game is a plus, even if it costs $9.00. Interestingly enough, if you've ever been to Yankee Stadium, Goose Island IPA is the only good beer available there as well. 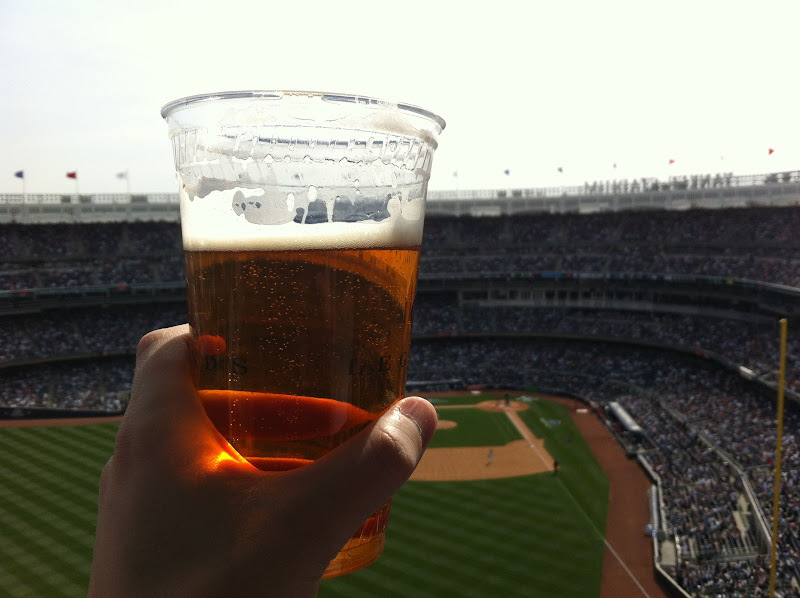 It seems as though it's all because Budweiser has a long-running partnership with the Yankees. We'll have to see if any beer changes have been made for the 2012 season, but I'm willing to bet the Bud deal keeps great beer out of the stadium altogether. I recently received the latest offering from Shmaltz's He'Brew line, the Hop Manna IPA. At 6.8%, this hop-forward brew is a florally, citrus concoction that's pretty perfect for the Springtime. This sucker is dry-hopped with 3 of the "C" hops: Cascade, Citra and Centennial. Shmaltz makes some pretty good beers and recently celebrated their 15th Anniversary. L'chaim! EDIT: I always accidentally spell it Schmaltz, but it's SHMALTZ. Apologies. I must have "C" hops on the brain.